Written by John Dickson Carr, Suspense first presented Cabin B-13 on March 13, 1943 with Ralph Bellamy. The story follows a newlywed couple, Ann and Richard (Ricky) Brewster, boards the ship is the S.S. Maurevania for a fun filled honeymoon. The couple has $10,000 for their travels and when groom Ricky takes the money to be stored at the concierge, he disappears. When Ann searches for him, there is no record of the couple being on board and the cabin B-13 does not exist! 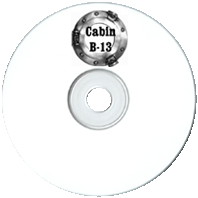 The show was so popular that "Cabin B-13" aired a second time on November 9, 1943. John Dickson Carr was given the chance to create his own program under the title Cabin B-13. It starred Arnold Moss as Dr. Fabian, luxury liner's doctor who leads the listener to different tales on the S.S. Maurevania. Though 25 shows were created, there are only 3 known in existence. However, the show is widely considered to be one of the best mystery old time radio shows. 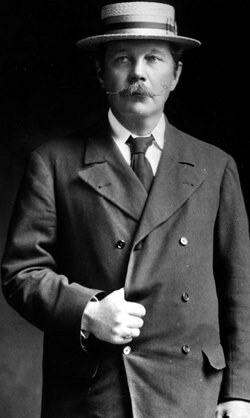 The well know mystery writer, John Dickson Carr was a master of the "locked room" mystery, defined by seemly impossible crimes of which a detective must solve. John Dickson Carr narrated and hosted the Murder by Experts and wrote numerous Suspense episodes including "The Devil In The Summer House", "The Body Snatchers", "Till Death Do Us Part" and many more. Be the first to comment on "Cabin B13"